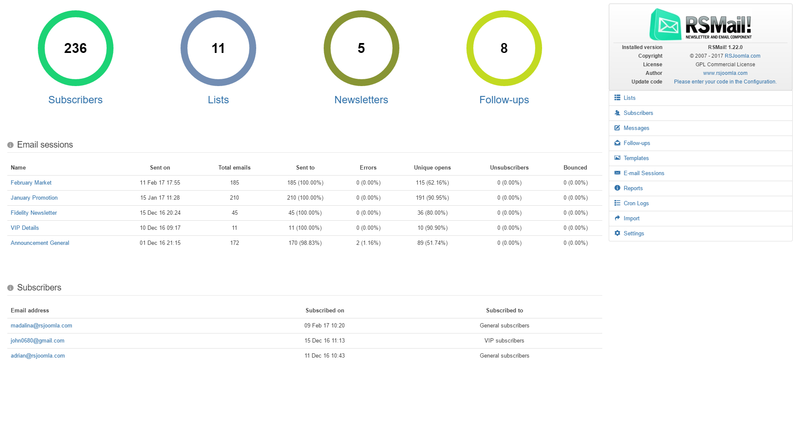 The Dashboard view can be accessed from backend > Components > RSMail!. This particular view is designed to offer easy access for back-end users to key parts of the RSMail! 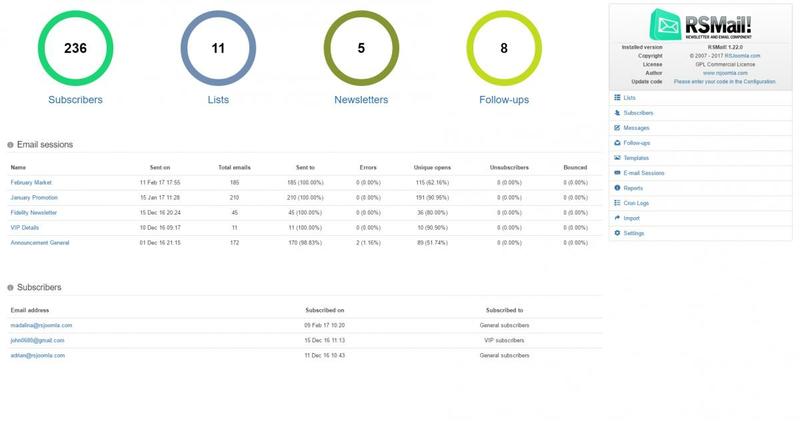 functionality including some statistical display for your newsletter sessions. Basically a counter for Subscribers, Lists, Newsletters and Follow-ups. Statistical information showing latest 5 email sessions (details include: Name, Sent on, Total emails, Sent to, Errors, Unique opens, Unsubscribers, Bounced). Showing latest 10 subscribers (Email address, date Subscribed on, list Subscribed to). General component information such as installed version, updated code status and direct quick links to the component admin panel sections.